Pic(k) of the Week: Brewers queue for Welcome Reception. 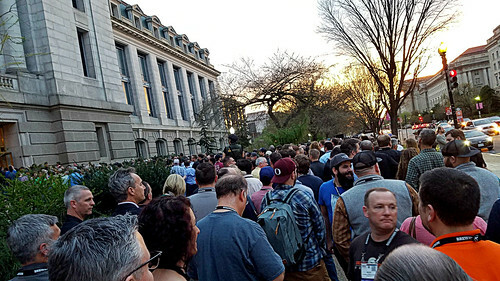 On 10 April 2017, a long line of brewers (a very long line, snaking a couple of city blocks) waited for the Smithsonian National Museum of Natural History to open its doors for the 2017 Craft Brewers Conference Welcome Reception. The conference ran 10-13 April in Washington, D.C. It was only the second time the conference had been in that city. 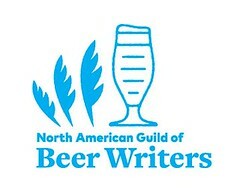 The Brewers Association (BA)—the not-for-profit trade group representing America’s small and independent craft brewers—has concluded the 34th edition of the Craft Brewers Conference & BrewExpo America (CBC) in Washington, D.C.
As the largest industry gathering, CBC brought together some 13,300 brewing professionals and more than 900 exhibitors for discussion and dialogue around America’s craft brewing business and culture. CBC was last in the nation’s capital in 2013, with 6,400 attendees and 440 exhibiting companies. There were so many attendees that the Brewers Association simultaneously staged a second reception at the National Museum of American History, a couple of blocks to the west, although less well-attended. Vinnie and Natalie Cilurzo of Russian River Brewing (Santa Rosa, California) can be spotted in the photo at the lower left (closest to the camera). The following day, the husband-and-wife-team were awarded the Brewers Association Recognition Award. More photos from the conference, from YFGF: here. 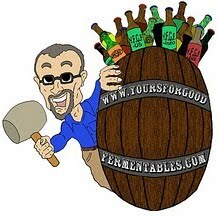 More about the conference, from YFGF: The skinny on the 2017 Craft Brewers Conference.